SR basses are the most easily recognised of the Ibanez bass range with their uniquely accessible double cutaway shape. The SR range offers a modern alternative to traditional bass design, and the 2018 range features models from beginner, entry-level instruments all the way up to pro-level basses. 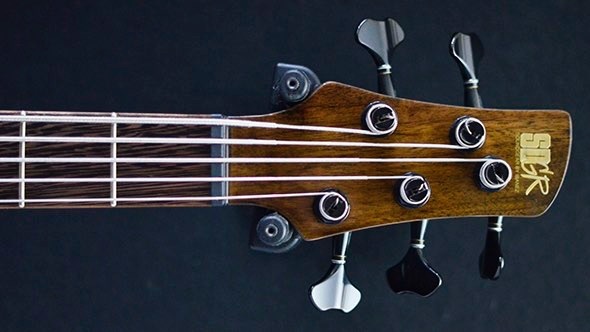 They’ve got lightweight bodies, smooth fast neck and perfectly matched electronics to give you a bass that’ll perform under any circumstances! The SR1705B-NT is no exception to this winning formula; a typically fast neck, lightweight construction, 5-string configuration and sleek, modern aesthetics make this a bass that's built to perform with precision and gusto night after night! One of the most immediately striking features of this guitar is the alluring poplar burl and walnut top. Ibanez are a big fan of employing natural wood grains in their finishes, so it's no surprise that the SR1705B-NT boasts such a beautiful top! 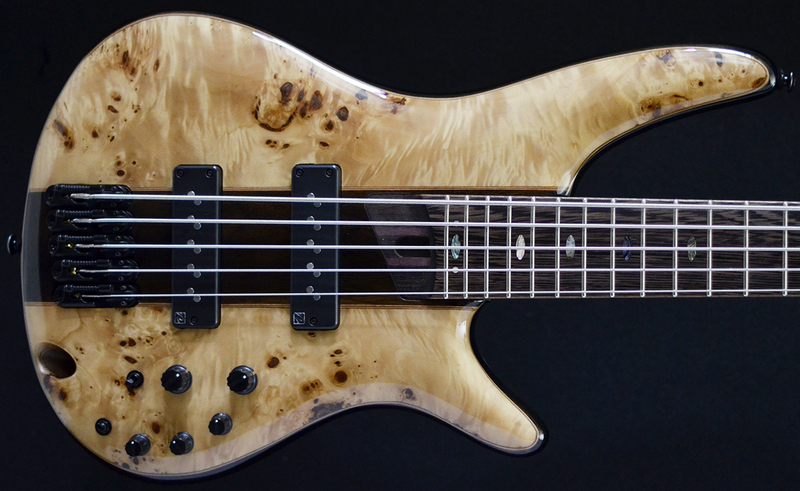 The body is mahogany, which perfectly complements the poplar burl and walnut top. The resulting sound is full-bodied with plenty of harmonic detail - it'll sit perfectly in any mix without treading on the toes of guitar, keys or other instruments. 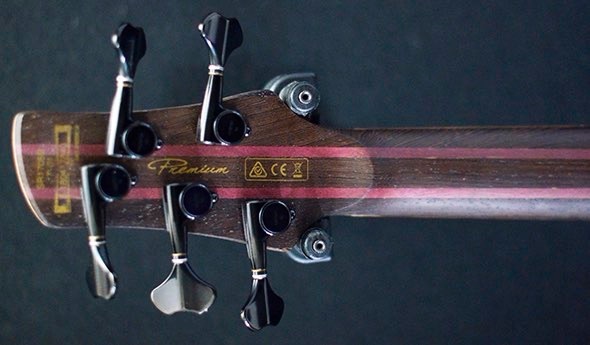 The 5-piece neck is comprised of purpleheart and panga panga. This delivers excellent clarity and attack, perfect for modern metal or fusion arrangements, with the panga panga fretboard offering extra-smooth playability to boot! The 5-string configuration also gives you plenty more flexibility with your range, and the unique wood combination has been optimised to allow those low notes to rumble in spectacular fashion! 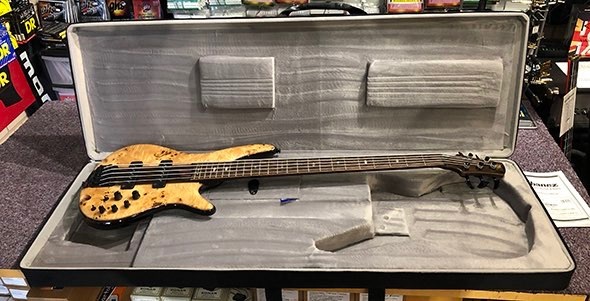 Pickup-wise, this bass comes dual-loaded with Nordstrand Big Single pickups; these single-coils complement the wood perfectly, ensuring that every drip of resonance and detail is squeezed out of the instrument in full! The extra-large coils ensure a loud, pronounced output that's perfect for every contemporary style. You've also got a 3-band EQ with a bypass switch at your disposal, allowing you to harness the full tonal power of this instrument. This simple interface gives you plenty of tonal legroom, so you can truly hone in on the sound that you're looking for with minimum hassle. 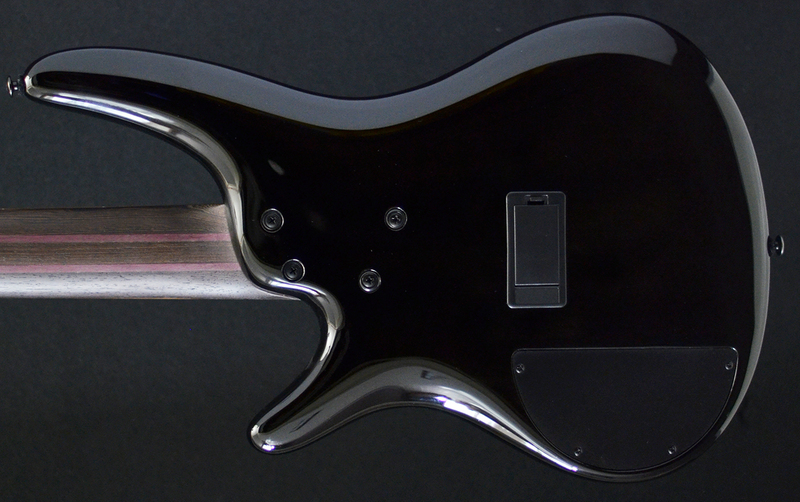 Ibanez have opted for slick black hardware, which looks great against the vibrant top wood and simply adds to the sleek modern looks!